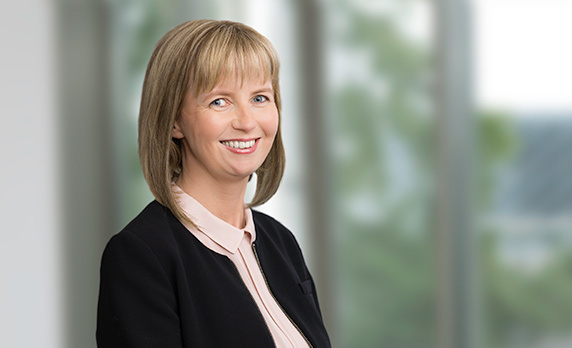 Laura Mulleady is a Partner in A&L Goodbody's Corporate and M&A practice, specialising in insurance. Her practice is focused on advising domestic and cross-border insurers, reinsurers, captives and intermediaries on all aspects of non-contentious insurance and reinsurance regulation and transactions. In recent times, Laura has been particularly involved in business transfers and amalgamations involving insurers and reinsurers and in advising on Brexit-related projects. Ongoing advice to several major UK insurers and reinsurers on Brexit-related solutions. Zurich Insurance Group on various restructurings and on the disposal of non-core insurance businesses. Carlyle Cardinal on its acquisition of AA Ireland Limited and subsidiaries from AA Corporation Limited. Talanx on the conversion of its Irish reinsurer to a European company (SE). Motorola on the domestic amalgamation (under the Companies Act 2014) of its Irish captive insurer and reinsurer. Guardian Financial Services on the acquisition of Ark Life. HSBC Group on the regulatory aspects of the sale of its Irish non-life insurance and reinsurance business to Catalina Foxtrot. Lloyds Banking Group on the closure and transfer of the businesses of its Shannon-based life and non-life insurance operations to two UK group companies. XL Group on the first combined portfolio transfer and cross-border merger ever conducted in Ireland and on several subsequent SE formations and other large projects. Numerous other insurers and reinsurers on portfolio transfer, restructurings, domestic and cross-border mergers. Laura has had several articles on various insurance topics published and has also lectured and presented on a range of insurance topics over the last number of years.